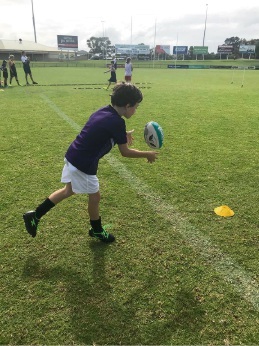 Peel Thunder players teaching the kids how to kick a footy. 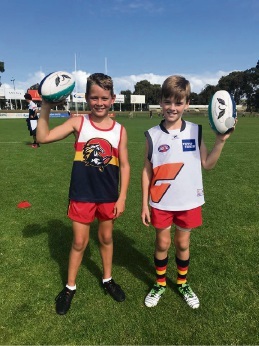 TWLEVE Peel Thunder players hosted a school holiday football clinic for 45 kids at the Bendigo Bank Stadium on Wednesday. Peel Thunder players passing on their footy tips. 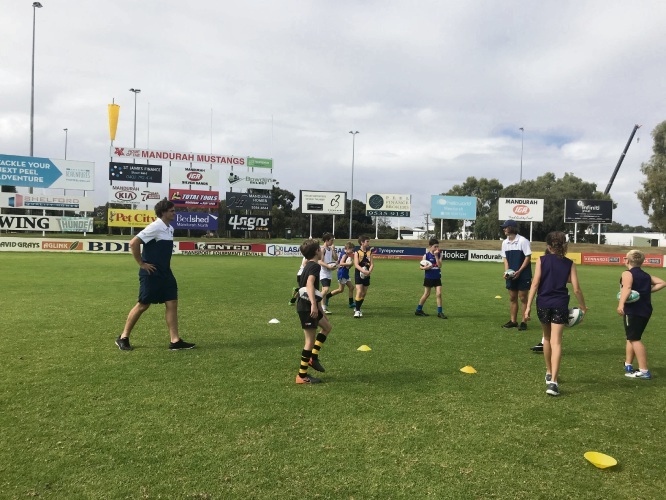 The footy session went from 9am-1pm where six league and six colts players from Peel Thunder coached and gave their best footy tips to the youngsters. 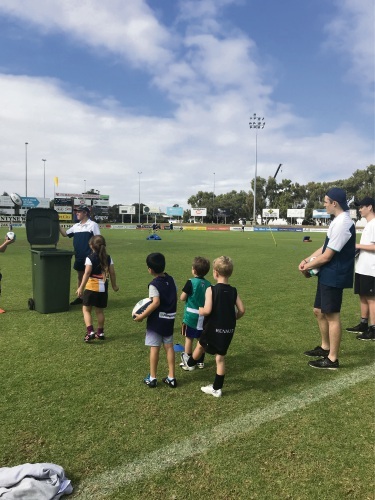 Peel Thunder player and community development officer Ben Howlett said the session was all about the kids having fun and kicking a footy. 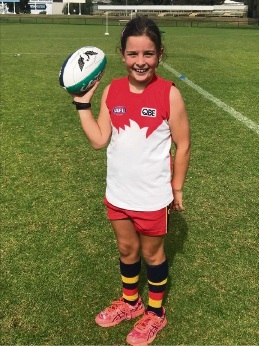 “The session is mostly about having fun, but the kids will learn a few different things like handballing and kicking, an umpire throwing technique, and a tour of the facility too,” he said. 10-year-old Noah Crispin and 9-year-old Hayden Sofield. 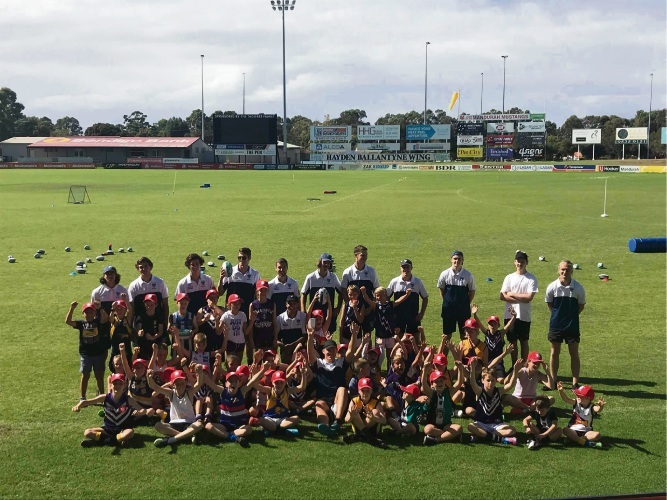 Peel Thunder players with the kids who participated in the school holiday football clinic.